This schedule gives an overview of workshops arranged before the camp. More workshops and discussion groups will be offered at the open space on-site. Both multi-day conferences hosted by the climate camp are not listed here. In this workshop I want to give an introduction into sustainable activism and why it is so important, maybe today more than ever. We want to reflect on our own activist culture and discuss how more sustainable practices could look like in our personal routines. Moreover, we will address necessary restructuring processes in the climate justice movement in order to collectively shape a more sustainable, healthier and kind environment for all. In this workshop, we will explore which stages social movements typically undergo, why we are most frustrated when we actually succeed and how we can become a strong, broad, powerful social movement without losing the overview or getting a burnout. 15:00-17:30 Exchange party for clothes and other things! Let your closet take part in the transformation! Swap clothes instead of buying new ones! Dear people, rummage through your wardrobes while preparing for the climate camp and bring the clothes which no longer fit or you no longer like and other things that are still ok and only dusty to the camp with you (old cell phone, tent, tools ….). There are no limits for the Party-cipation of your unused things! In turn, you can take clothes and things from other people if you like. Please wash the clothes before you bring them for exchange and bring only functional stuff. Otherwise come by, enjoy the atmosphere and bring fresh wind into society (and the wardrobe)! PS: All remains things go to the Hambi as support! We want to kick off debates, collect ideas and knowledge, foster system change! We will record this process being creative on it. Question is: how to start system change? How to establish broadly accepted alternatives to existing systems? How to start it today and what did we begin with yesterday? What are your ideas and which projects do you know of? We collect this knowledge and document it in a movie. How is interpreting connected to climate struggles? (Everyone is welcome, no experience or education is mandatory.) Build up, abolish power structures related to languages in our movements: Introduction into interpretation of events and meetings, the difference between a multi-lingual event with interpretation, power structures and how they are related to which languages we speak and which words we use and introduction into possibilities for interpretation. The workshop can be continued in an open space. Get in contact! You think that there is a lot going wrong in the world? And do you feel powerless because you often do not know how to do better or be enforced? Environmental destruction, human rights violations in penal institutions, discrimination and exploitation – so much happens daily, but hardly anything helps against it? Then this direct action training helps. Because as much as it might seem, we are not powerless. On the contrary, there are many forms of action that we can get to know and practice in order to defend ourselves more effectively, to raise our voice louder and more clearly, or to intervene politically: communication guerrilla, hidden theater, targeted blockades or occupations, intelligent disruption of processes and many more actions attract attention and provide space for our own demands and visions. We will discuss concrete action ideas, examine the legal framework and try out a few things. 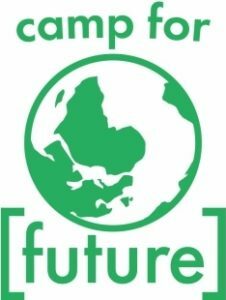 The training lasts two full days at the climate camp, starting at the beginning of the first workshop slot – and then into the evening. Breaks will be arranged there. Want to inform yourself in advance? www.direct-action.tk and the introductory film included there. Strategies, tactics, social change, goals and reflection – in strategy discussions, we can quickly lose the overview. We want to learn to see the wood for the trees again and to deal with the question and answers of strategies and tactics. So that, the day after tomorrow, we ca still bite with force. There is much talk on coal exit in Germany, even when it comes to the closure of the last coal mines in Bottrop and Ibbenbüren. What is however hardly mentioned – energy production in Germany will continue to rely on hard coal. Besides Russia, Colombia is one of the countries of origin. Latin America’s largest hard coal mining area, one of the largest in the world is situated in the department of La Guajira in northern Colombia. In El Cerrejón, around 32 million tons of coal are mined each year, exclusively for export. For the climate, the environment and the the local population, the extraction has devastating consequences: Mining and concomitant erosion of water-bearing strata exacerbates the water scarcity of the already dry La Guajira region and endangers the right to water and food of the population. In Cesar, another major mining area, the government ordered to adequately relocate three communities due to reasons of pollution. Until now, the responsible companies have not complied. In addition, other serious human rights violations have been documented in these regions: those threatened by displacement and activists fighting against coal mining have been pressured, expelled and even murdered. The few offenders, who were convicted, said they were acting on behalf of coal companies; the companies deny this. The long way this “bloody” coal has to be transported to Germany makes it a twofold climate. 15:00-17:30 Market of possibilities: Getting active in the climate movement – but how? Climate Change is accelerating. The climate movement is growing and getting stronger – and that’s also necessary for its support and planning structures! You want to get involved, but you don’t exactly know how to? On the market of possibilities, climate groups are presenting themselves – they are looking for new people like you. Organizing cools the planet! (Everyone is welcome, no skills needed. All curious people are welcome, no knowing better aspired.) We found interpreters and organized a multi-lingual event. How does equipment work? Introduction into more and less complicated tools for being on the way, in the open, for small meetings and plenaries or conferences. For interested people the workshop can be continued in an open space. Get in contact! BRAND II tells about destruction of a century old cultural landscape in favor of lignite mining in the Rhineland until 2027. It visualizes the depth of this existential trench, not only enforced resettlement but also the knowledge about the complete annihilation of homes reaching into language, tradition, crafts and family histories, not quite met with the politically loaded term “Heimat” (home country). With BRAND II Jutta Kill and Clive L. Spash dive into the relationship of society and nature that has been subtly but fundamentally shaped by public debates about pricing of “nature services” since the introduction of the emission trading system. The movie sheds light on the roots of the fossil infrastructure surrounding us. This movie is part of a trilogy about fossil economy, lignite mining, climate politics and the resistance in the Rhineland. Both other movies will be screened on the camp as well. Whole Day workshop in 2 parts. Everything is connected with each other and influences each other. At the same time, this interaction creates more than the individual can contribute – fire and water turn to steam, a property that only both can create together. Humans have a massive impact on these systems and are at the same time part of them. Recognizing who we are in this system strengthens our motivation to make this interaction the best for everyone. Exercises to understand systems and to motivate oneself for environmental and climate protection. We know what goes wrong in the Rhineland, in Germany, in the world. We have the knowledge about causes and effects of environmental problems. Our motivation to fight against opencast mining, climate change, etc. is conclusive. How do we convey this message? It is almost impossible to communicate our concerns to other people only with facts and knowledge. This requires real personal contact with people and with ourselves. Exercises to get in contact with yourself and other people in the face of external crises. You or your group have great ideas for action and a changing world? We have the methods how these can be discussed and shaped collectively. Be it a small group, an individual or a big alliance – with the right questions and a few tools, your actions can become even more effective. We are a duo of vertical silks acrobats addressing a movement of mass actions of civil disobedience in the struggle against lignite mining in Germany, known as „Ende Gelände“. In the course of 25 minutes we explore personal experiences as “climate activists” involved in the protests. Based on a blog written by Ben Winston, who participated in the first Ende Gelände Action in 2015 in the Rhineland, we reflect on fears and hopes, anger and the duality between police and activists. With our performance we want to give hope and strength to all people engaged in the climate justice movement. This performance is a first step in our intent to combine our passion for vertical silks with the fight against coal mining. Since more than 40 years Gerd Schinkel from Köln sings his roots-musical songs about contemporary and timeless topics in german. A movement is as strong as its local groups. So, if you are still not organized locally, that should change as fast as possible. And if not only because it is fun and totally invigorating to contribute to the movement and the upcoming social change as a group. But how do I find people to start a group? And what is important in the group formation process? How can we focus on goals and Working methods in order to act together, and while doing so, have a good time as well? In this workshop we want to familiarize ourselves with the basics of the local. Organization, proft from experiences of others and maybe even get to know other people from your area, which might soon be part of a new group together with you? The cause of both the ecological and the economic crisis is capitalism. The eco-socialist alternative stands for a society based on respect for nature and the people. The possible alternatives are determined by the restrictions that result from the ecological crisis. Material production must be limited and must take into account that global warming exists and that there is a risk of destroying whole ecosystems. What is needed is something quite different from the “ecological market economy”, more than a vague “eco-social transformation”, needed are a conscious ecosocialist transformation of existing conditions, an eco-socialist revolution and a new civilization. The foundations of an eco-socialist society must be social justice and respect for nature. Most of the black coal imported to Germany comes from Russia. But how is the coal actually extracted? The Russian environmental activist Tjan Zaotschnaja explains it. She addresses the practises of mining companies and political actors in Russian mining areas. Repression and expulsions are frequently taking place. She also talks about the struggles against black coal mining, for example in Schoren. The artist Susanne Fasbender traveled through the Rhineland lignite mining area and created a comprehensive work about the relation of extraction, confiscation, economic growth and the climate crisis. This impressive analytical, subjective and in light of imminent climate developments emotional view joins art with movie language. The viewer gets the opportunity to dive into the region to emphasize with the effects of industrial growth and ecological destruction. Presented events are followed by analytic interviews and invites the audience to get involved with the future of humanity and nature and to join necessary debates. This movie is part of a trilogy about fossil economy, lignite mining, climate politics and the resistance in the Rhineland. Both other movies will be screened on the camp as well. Because of RWE’s lignite mines the Rhineland has been in the focus of the climate justice movement. At the same time the Rhineland is part of a global chemical production cluster with next to Bayer/Monsanto in Leverkusen, Shell in Wesseling, Evonik, Henkel and Lanxess not less than 250 companies. The 62.5 billion fusion of the chemical giants Bayer and Monsanto created global attention on the region as a relevant area of fossil industries. Since long resistance against singular industrial sectors and methods is alive. The “Coordination against Bayer dangers” takes on the global player since 25 years together with protests against refineries, accidents and spilling south of Cologne. Which roles do food and petrol chemistry play in the climate crisis? Which strategies do we have against trans-national chemical giants? What are the action points for social movements? How should the social-ecological transformation of the chemical industry look like? “The end of the world seems tangible as an end of capitalism” is a winged wort. The future is unclear because of the biosphere crisis (climate warming, extinction of species), but shaped by a dystopia. A global authoritarian/proto-fascist political dynamic on all continents darken the horizon. 30 years after the break down of real existing capitalism parts of social movements raise questions about fundamental alternatives to think about and create a post-capitalist society. Which anchor points for social-ecological transformation do exist? Who is subject and actor? Which forms of state makes a real transformation possible? 15:00-17:30 How to conduct an interview? To overcome injustice understanding their fundamental nature is necessary. This workshop introduces the topic climate (in)justice by connecting different forms of knowledge. We tell stories about climate injustices to open a space for empathy and exchange. 15:00-17:30 Public transport instead of car traffic: Can that work? Due to the diesel scandal, the car industry is increasingly being criticized in Germany. But VW, Mercedes and BMW continue to rely on climate-damaging combustion and private transport. But the alleged alternative, electric cars, are also to be seen critically. The workshop will clarify: Which strategies are the German car companies persuing? Why is the resource balance and energy consumption of e-cars to be viewed critically? Further questions are to be discussed: Could public transport take over the entire passenger traffic which is still handled by cars today? How much further does public transport have to be developed for this? Should car opponents advocate new trams? Could urban ropeway projects be an addition in some places? Would that be affordable? What would the introduction of a zero tariff in public transport cost? What can new cycle routes in big cities accomplish? How can we reach a city of short distances? How should a pedestrian and bicycle-friendly city look like? Currently it seems as if the positions of some German unions and those of the climate movement were poles apart. Particularly the IG BCE claims to represent its members’ interests by delaying the inevitable coal exit. 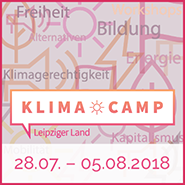 In our workshop we will discuss how we can win employees from the unions for climate protection and whether the German government’s coal commission can make a contribution. 10:30-13:00 nuclear power phase-out? Nothing! Background, information on unlimited uranium enrichment and the production of reactor fuel assemblies/ fuel rods in Germany. About how RWE and EON are keeping forward nuclear business. The factories in Lingen and Gronau are till now excluded from so called nuclear power phase-out, they are allowed to work unlimited. The uranium enrichment factory from “Urenco” is able to produce uranium for atomic bombs. Behind the scenes RWE and EON work on selling Urenco to a japanese or american consortium. Urenco provides Doel and Tihange. We report our actions! We will visit people who have been resisting coal mining in the Rhineland for decades, as well as people who have been displaced or are in danger of being displaced by the Garzweiler-mine. Through these encounters, we want to better understand the perspectives and needs of the local population. We, “Andere Saiten” are three families who like to spend time together and always play together in a variety of ways! Additionally, we are a choir that has decided to save the world. Along the way, we want to contribute to establishing choral music as a political form of action. So far, we met especially at anti-nuclear demos, but in the future we have decided to reach other areas with our opinion as well. For our actions we write texts for existing chorals of old and new masters. In BRAND III Susanne Fasbender looks back to the first climate camps in the Rhineland area, visited engaged civilians against health issues caused by lignite mining and tells stories of forest occupations in the Hambach forest. In cooperation with the Hambach forest film collective she visited some of the many resistance events to document the individual boundary crossings and give space for motivations and personal thoughts. Activists talk about tactics, motivation, experiences to live in the forest and be involved in the fight for a livable future against anti-ecological suppression with open end. This movie is part of a trilogy about fossil economy, lignite mining, climate politics and the resistance in the Rhineland. Both other movies will be screened on the camp as well.